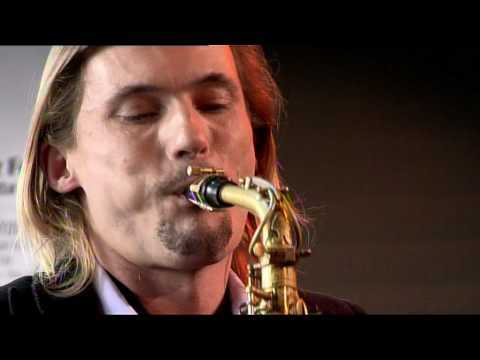 Alto saxophonist and composer Joris Posthumus has been making music since he was six years old. He studied at the conservatory of Rotterdam and Tilburg, and at the same time founded various combos. After graduating, he and his friend, the bassist Jurriaan Dekker, created The New Quartet in order to set up live projects with leading jazz musicians, including Wolter Wierbos, Martijn Vink, Ben van der Dungen and Yuri Honing. At the end of 2007, after pianist Jeroen van Vliet and drummer Pascal Vermeer had joined the Quartet, this 'project approach' culminated in four performances with David Murray. When their album 'The Abyss' was released in 2009 (distributed by Challenge), the group's name was changed to the Joris Posthumus Quartet. The album was recorded together with sound technician Chris Weeda, pianist Jeroen van Vliet, drummer Pascal Vermeer en bass player Juriaan Dekker (featuring Tom Beek). This album presents dynamic jazz of a high NU-bop energetic quality. The biting alto saxophone of Joris ,who,whipped up by the strong rhythm section, explores all corners of the improvisation spectrum, is characteristic for the sound of the Quartet. Another characteristic is that the melody, an important ingredient of Joris’s compositions, will always sound through. Making music is all about the chemistry between the musicians. With Jeroen van Vliet, Pascal Vermeer and Juriaan Dekker, Joris feels that all- important ‘click’. In this formation the band toured the Netherlands with the famous American tenor saxophonist David Murray as a guest and played at the North Sea festival, but also on other famous Dutch Jazz podiums during the Young VIPs tour, a.o. the Bimhuis in Amsterdam and ”Lantaren en Venster” in Rotterdam. In that year Joris started working on some new projects as well. With Pascal Vermeer he started the Ornette!! project. With this project they play mostly Ornette Coleman pieces. Another group is Instant Architecture. With musicians like Yonga Sun and Jarno van Es they play in a free impro form. With the Hammond Trio the music is performed by three, but sounds as if it's four people playing. 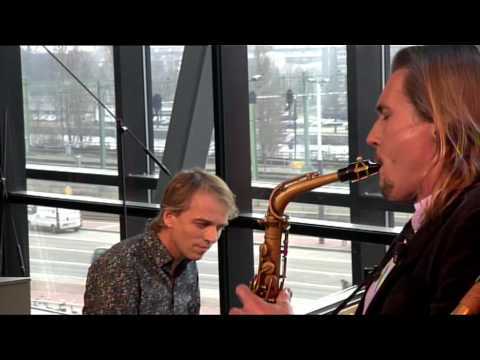 With Arno Krijger (Hammond) and Joost van Schaik (drums) the music gets an extra dimension.